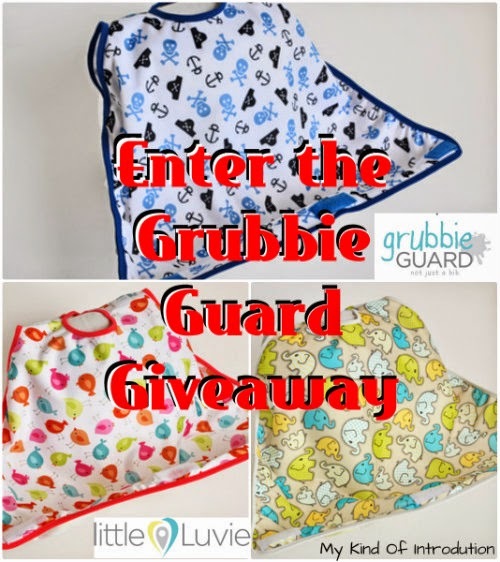 My Kind Of Introduction: [Giveaway] Grubbie Guard Giveaway - Win the bib that catches everything and keeps your floors clean too. Definitely want to be prepared for it. Especially grouped with teething drool! I know exactly what you mean! Things can get pretty messy sometimes, this bib is pretty awesome! I know right!!! Why didn't they create this little "baby safety net" years ago?